The project team is the heart of every project. It’s not easy to assemble a great team that has the necessary skills and knowledge, but also works well together. A big challenge for any organization and their project managers is to create a diverse team, though it is of vital importance if they want to have a competitive edge. Diversity is important, that’s a fact. But let’s face it, biases, stereotypes and prejudices - however often discussed and addressed – often make assembling a diverse team difficult. Much of it is due to a lack of diversity awareness and the tendency of us humans to prefer what we already know. Fear of change and preference for stability make us reluctant to embrace diversity. Which is why organizations need to make an active effort to not only increase diversity awareness and addressing existing biases, but to create an inclusive workplace that welcomes differences. There are clear benefits of having a diverse team and it’s not just about creating a good public image. It’s a fact that diversity helps an organization’s bottom line, because diverse teams run better projects and achieve better results. Projects with a diverse talent pool are also more innovative and creative. Because of their different personal and professional backgrounds, they can contribute different ideas and viewpoints to the project, which facilitates innovation. Having an inclusive work environment helps you avoid the ‘innovation-killer’ phenomenon that is known as groupthink. No matter if you sell a product or a service, your customer base will always be diverse, so it’s only natural that your employees should also be diverse, if you want to increase customer satisfaction and as a result also your market share. If you want to build a diverse project team, you need to eliminate as much bias from the hiring process as possible. 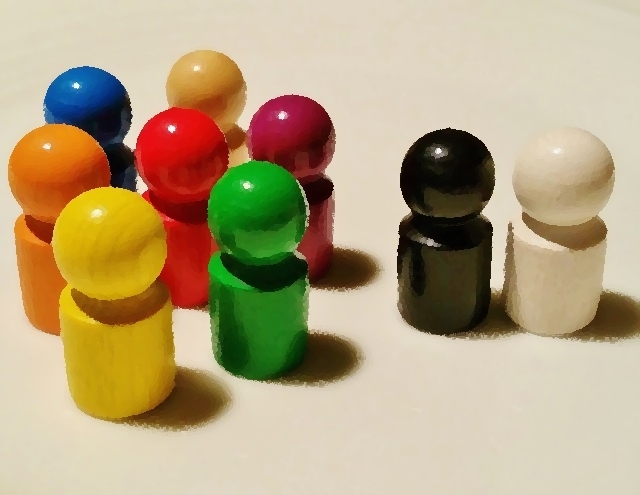 Being aware that you have biases and prejudices already makes a difference, because you can actively work on bypassing it when selecting team members. This is only the first step, though, since you also have to act on it. Make sure that your HR department or hiring team gets the necessary training to conduct unbiased interviews and hiring processes. Remember that there are many different types of diversity (cultural, gender, age, experience etc.). It is tempting to think that the more similar a team is the better they click and consequently work together. However, diversity is about finding the right mix of people who complement one another rather than who are similar. As a leader you have the responsibility to make sure to get the message across that diversity is not an option, but rather a vital part of the organization’s long-term strategy. Get the support from executives and communicate this with your team. You must also set an example as the leader for the team to follow: actively seek out team members and show genuine interest in their background and make them feel welcome and included. Make sure that everybody on the team knows that it is okay to have divergent viewpoints and opinions. Teambuilding practices help the team get to know each other better. Understanding and trust is one of the most important aspects of teamwork and that can only happen if the team knows each other’s strengths and weaknesses, as well as similarities and differences. A team that is aware of each other’s abilities and embraces their differences can work together more effectively. Mutual understanding also helps the team to resolve conflicts better, because they are aware of cultural and personal differences and take this into consideration when there is a disagreement. Many organizations really want to increase diversity, but lack the necessary systems to measure the success of diversity efforts. This makes it hard for them to improve diversity measures. What you can do is to assess your current practices and identify a set of measures that you can take to improve them. Possible metrics that you can measure are, for example, employee satisfaction through feedback processes, the percentage of minorities in your team and their retention rate, performance score cards that show productivity and innovation rates, measuring customer satisfaction over time and so on. How to Get Together a Diverse Project Team - InLoox • Copyright 1999-2019 © InLoox, Inc. All rights reserved.